You have dirt. Every facility does. It’s a problem in industry — potentially, an expensive one and, worse yet, a dangerous one. Many industries use hazardous materials in the manufacture of products or must deal with toxic dust and debris as a byproduct of the production process. The threat to worker safety ranges from airborne dust that irritates the nose, eyes, and lungs to dangerous potent compounds and active pharmaceutical ingredients (APIs). In order to keep this hazardous material away from workers, it must be collected with industrial vacuums, but that is only half the battle. Once safely collected inside the vacuum, toxic dust and debris must be removed and discarded. This poses an extra risk for cleaning and housekeeping personnel. 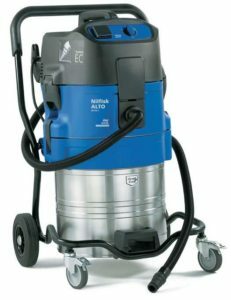 The most advanced industrial vacuums are engineered with safety in mind and feature special options that enable cleaning teams to quickly and efficiently collect dangerous material and easily dispose of it without ever risking contact.